When hunky rancher "Lucky Beau" Luckadeau accuses spitfire Milli Torres of stealing his prize bull, she promptly shoots at him, triggering a neighborly feud that only gets resolved when they discover they share a steamy hot memory from a night long ago... It was a night of passion that has haunted Lucky. The mysterious beauty he seduced at a cousin's wedding has disappeared. 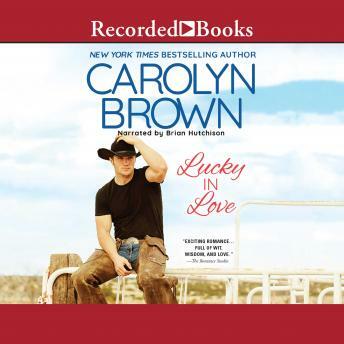 He's always been lucky at cards, lucky with cattle, and lucky with land, but he's never been lucky in love. Now Milli Torres has come to southern Oklahoma to help out on her grandfather's ranch. A cut fence and a big, mean Angus bull in the pasture are bad enough, but then she looks up and sees Beau Luckadeau on the other side of the fence. Great God Almighty, how did he get from Louisiana to Ardmore, Oklahoma, and what in the hell is she going to do if he recognizes her?